The theme of our 2018 Annual Report is the University’s commitment to making a significant contribution to the current and future wellbeing of all people and to serve our local, national and international communities. The document features reviews of the year by the Chancellor and Vice-Chancellor, key facts and figures, reports from our eight faculties and two large-scale research institutes, and an essay on our contribution to wellbeing. 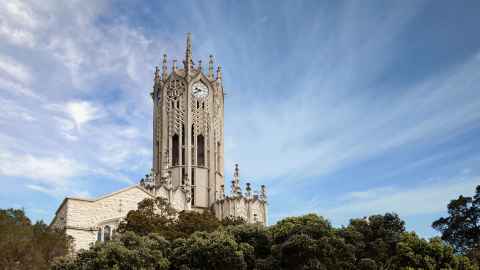 University of Auckland Annual Report 2018. Size: 2.9 MB. Type: PDF. Document Description: Read a review of the year by the Chancellor and Vice-Chancellor; including reports from faculties and large-scale research institutes. To receive the Annual Report as an ebook via email in future years, email Jacqui Metcalf. Annual Report 2017. Size: 5.7 MB. Type: PDF. 2016 Annual Report. Size: 6.7 MB. Type: PDF. Download this PDF file. Size: 6.7 MB. 2015 Annual Report. Size: 5.0 MB. Type: PDF. Download this PDF file. Size: 5.0 MB. 2014 Annual Report. Size: 6.7 MB. Type: PDF. 2013 Annual Report. Size: 5.6 MB. Type: PDF. Download this PDF file. Size: 5.6 MB. 2012 Annual Report. Size: 2.1 MB. Type: PDF. 2011 Annual Report. Size: 2.4 MB. Type: PDF. 2010 Annual Report. Size: 2.4 MB. Type: PDF. 2009 Annual Report. Size: 3.6 MB. Type: PDF. 2008 Annual Report. Size: 13.4 MB. Type: PDF. Download this PDF file. Size: 13.4 MB. 2007 Annual Report. Size: 2.7 MB. Type: PDF. 2006 Annual Report. Size: 2.3 MB. Type: PDF. 2005 Annual Report. Size: 1.5 MB. Type: PDF. 2004 Annual Report. Size: 1.2 MB. Type: PDF. 2003 Annual Report. Size: 772.3 kB. Type: PDF. Download this PDF file. Size: 772.3 kB. 2002 Annual Report. Size: 603.0 kB. Type: PDF. Download this PDF file. Size: 603.0 kB.